Fantastic pennant of the Italian team issued for the season 1948 – 1949. It is fully hand embroidered in gold thread and it has an heavy brass pole. 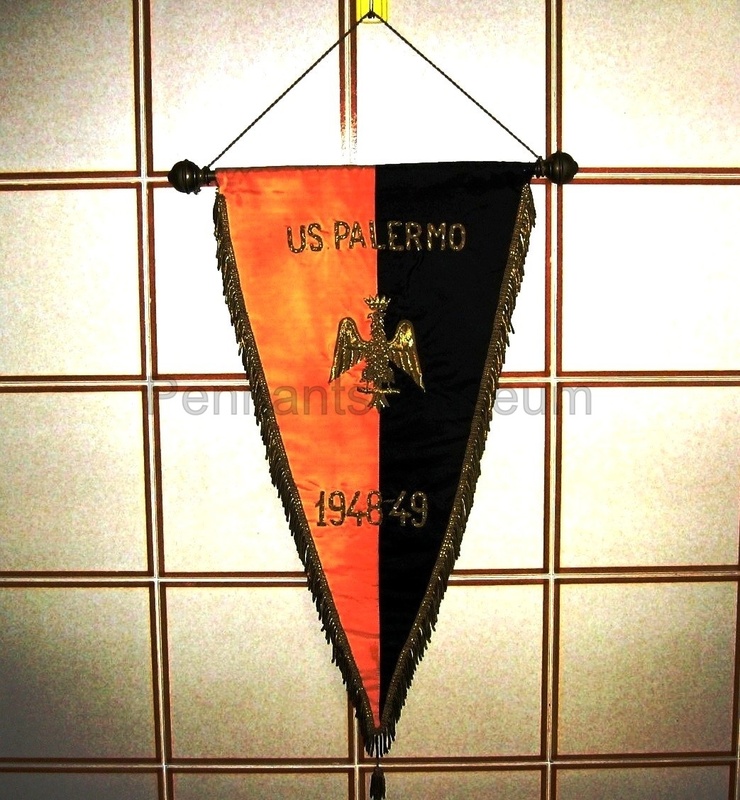 Like the front the back has also pink and black halves colours of the team of the city of Palermo. 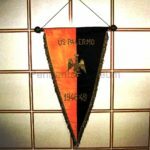 US Palermo played the season 1948 – 1949 in the top level Italian division and they got the 11st position at the end of that season. This championship was won by legendary Torino AC (The great Turin) which suffered by the tragedy of Superga the 4th of May 1949 where most of team died due to an air accident.